A delegation of the Humana People to People Federation actively participated in the fifth annual European Development Days (EDDs), which was organized by the European Commission in Brussels on December 6-7. The EDDs are the most important European forum for development cooperation, as demonstrated by the more than 5,000 people who attended from European institutions and development non-governmental organizations (NGOs). The EDDs aim to promote collaboration between EU public institutions and NGOs working in the South. The forum also aims to raise European awareness about the importance of forum’s goals. During the EDDs, the Humana delegation, which included staff from Finland, Holland, Spain, and Zimbabwe (where the Humana Federation has its headquarters), had the opportunity to participate in thirty meetings with other development cooperation entities. 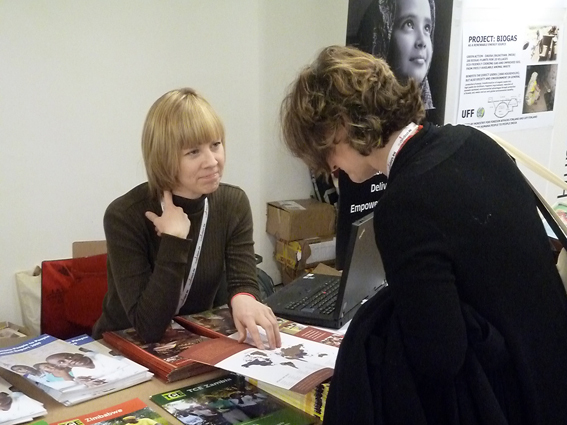 The EDDs are organized around two broad areas: first, an extensive program of conferences, seminars, and forums to share knowledge and experiences; and secondly, an exhibition area that consists of hundreds of stands (including Humana People to People) that publicize the work being carried. The Federation has participated in each of the five EDD forums that have been held to date.